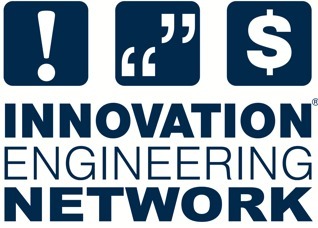 On June 5, 2014 E2Tech hosted a free introduction to the Innovation Engineering system and present a mini-case study to show the system in action. Have you ever thought about what products and services you will be selling in 2016 and beyond? The most innovative companies expect, in just three years, as much as 40 percent of their revenue will come from products and services that don’t exist today. The good news is that E2Tech's 2013 report, “The Clean Technology Sector in Maine” found that almost 40% of Maine clean technology firms plan to launch a new service and 23% plan to release a new product in 2014. Companies that have new product development as a central focus to their strategy have dramatically higher revenues and profit margins, and, therefore, are drivers in their local economies. But we also know that many Maine businesses think it’s very risky to enter into new markets or expand their current products, and that it takes a long time. With the energy and environmental sectors leading Maine’s economy, E2Tech believes it makes sense to help our members grow their companies by entering into new markets as well as expanding their current products and services. To do this, we are offering to help companies pay for the training and coaching related to the implementation of a innovation system that will increase the speed of new product and service development by 6 times, and decrease the risk between 30 and 80%. This system will help you make new product and service development a repeatable and reliable process, not a random event. And, through the pilot process, you will focus on a single important challenge or opportunity for your company, and move several ideas forward to the development phase. By adopting this system, based on the teachings of Dr. Edward Deming, the father of total quality, your company will be following the guidelines that you set, but will also empower your staff and stakeholders to be part of the solution! You will join the almost 26,000 people around the world who have been trained in the system that has produced over $1 billion of ideas that have been brought to market. This workshop was led by Catherine Renault, Principal and Owner, Innovation Policyworks, LLC and one of a handful of Certified Black Belts in Innovation Engineering in Maine.